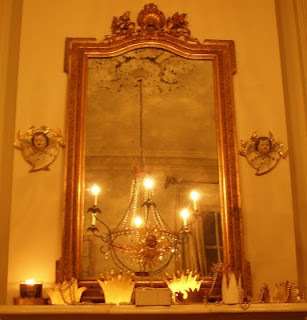 I am not sure when my fascination with crowns began, but I suspect it might have been when I saw a post on Mardi Gras on the lovely blog Bayou Contessa, and glimpsed Julie Neill's crown collection on her mantle. From Bayou Contessa - a beautiful display of crowns used as decorations for Mardi Gras. 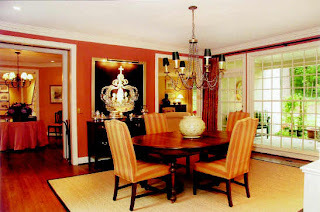 This picture is from an Atlanta real estate listing. Isn't that crown painting amazing? I would love to find out the name of the artist. 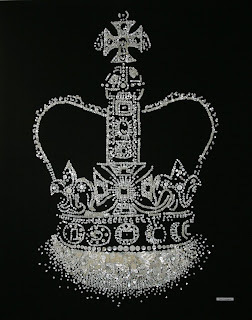 The painting in the Atlanta real estate listing reminds me a bit of this artwork "Crown Jewels" by Ann Carrington, seen in Gwyneth Paltrow's East Hampton home, via Topsy Turvy Style. House & Garden, 11/07. Photo by Eric Cahan. Here is a close up of the art. It is comprised of hundreds of tiny pearl buttons. 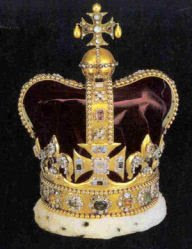 And here is the real thing, part of the crown jewels of the British royal family. When thinking about crowns, I remembered seeing a crown on Princess Diana's personal stationary. It took me a while to find this, but it was worth the search. I think the D with the little crown is so charming. Image from Historic Press. If you want your own crown stationary, Crane & Co. has a cute crown design. Prince of Wales Feathers, the badge of Prince Charles, has a crown, as is befitting of the heir to the throne. The Prince of Wales crest is full of crowns. I can count seven, but there may be more. This is the coat of arms for the late Diana, Princess of Wales. Only three crowns on this one! Camilla has her own coat of arms, granted by the Queen on July 17, 2005. I count four crowns on this coat of arms. This one is Prince William's coat of arms, which is combines elements from Charles' and Diana's coats of arms. I count five crowns in this one! All coat of arms information from College of Arms. 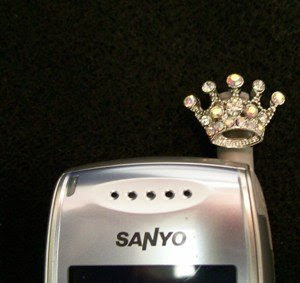 If you want some crowns in your own life, check out this crown for your cell phone. From Holly Hardwick, an online store that specializes in crowns. 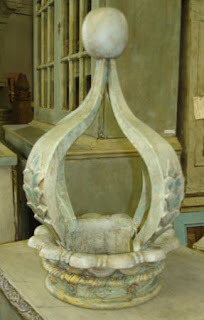 Antique reproduction crowns can be found in many antique stores. 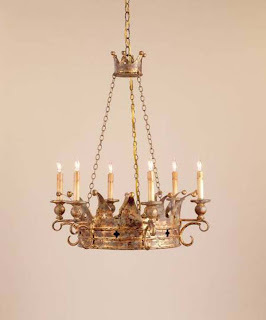 Crown chandelier by Currey & Co.
Reproduction decorative crown, on ebay. The Wisteria catalog has quite a few crowns. Here is a crown doormat. 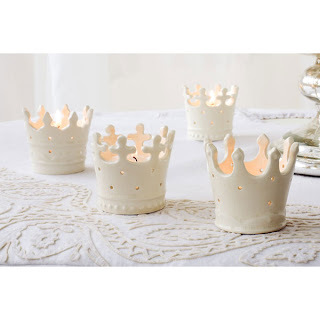 Crown votive candle holders, also from Wisteria. 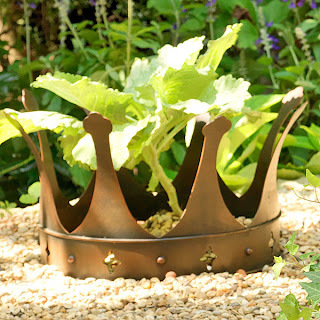 This crown is pictured both in the garden, and elsewhere in the catalog, on the coffee table. 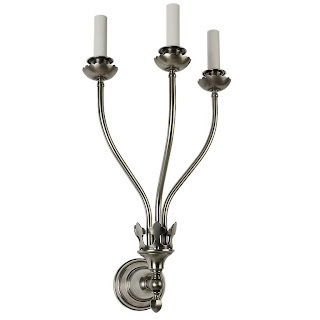 A beautiful sconce from Remains lighting, with a crown detail at the base. Crowns can also be seen in architecture, in particular at the top of buildings. Here is a great example from the Crown Building, NYC. Image from deadprogrammer.com. St. Giles Cathedral, Edinburgh, is famous for its crown spire. 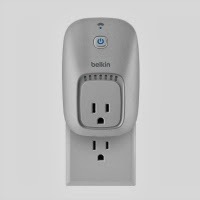 From virtualtourist.com. This was a nice topic to research for my 100th post. 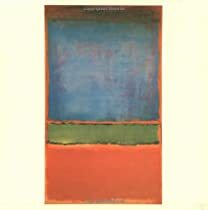 I was able to find sources in art, design, real estate, architecture, and royalty - which are all of my favorite topics of inspiration! As always, thank you for reading my blog. I look forward to another 100 posts! I LOVE this post! (Almost as much as I LOVE crowns!) Very cool! p.s. That is a very good tip you gave about the silhouette lady at Disneyland and gluing the silhouette on the back instead LOL. Hmm. I've never gone much for real crowns, or crowns associated with royalty, but I love those fantasy tin crowns, and crown chandeliers, and I think its a brilliant idea for decoration you've picked up on. I guess I like the association with kid's dress up, and theatre, and self envisioning better than the emblems of monarchy or status. Congratulations. Great collection of crowns. I never saw such beautiful crowns. These reminded me of the beautiful fairy tales with kings and queens. The candle holders are so pretty. Thanks for posting the wonderful images. Thank you for your comments, everyone. 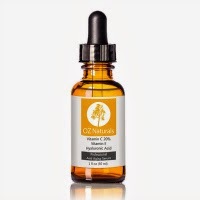 It was challenging doing the research for this post because crowns are literally everywhere in Western culture, and the name 'crown' is used for so many businesses. Google searches brought up so many results it was daunting! I love this! 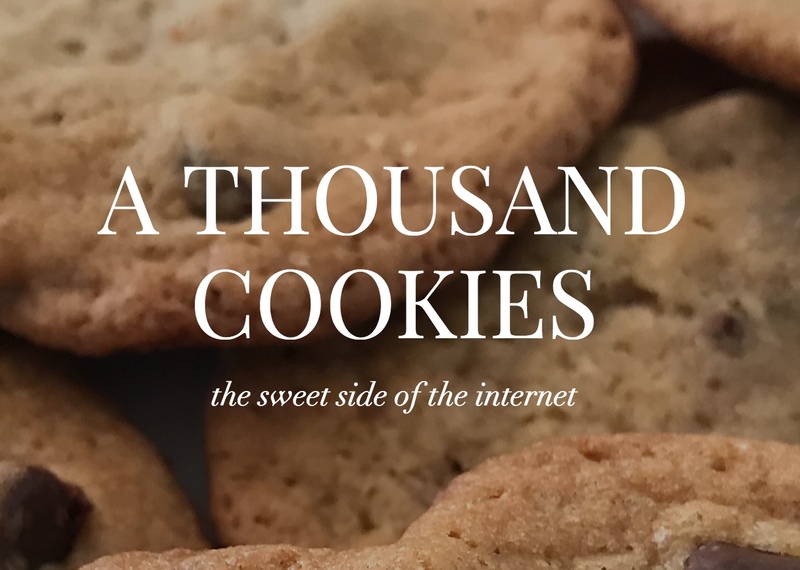 congrats on your 100th - I love your blog, it's one of my favorites, you know that! but why didn't you show my crown necklace :( - I love my necklace! My favorite picture is Julie Neill's picture - that has to be the most gorgeous picture ever. Just beautiful. You know I never really gave crowns a thought until this post and the first crown that came to my mind was the one on Rachel Ashwell's Shabby Chic logo lol. Now I must own some kind of crown lol. I'll be on the hunt. I just bought some cute lil espresso cups with crowns on them, so of course I loved this post!! This post is the crowning glory. Congrats on your 100th post! 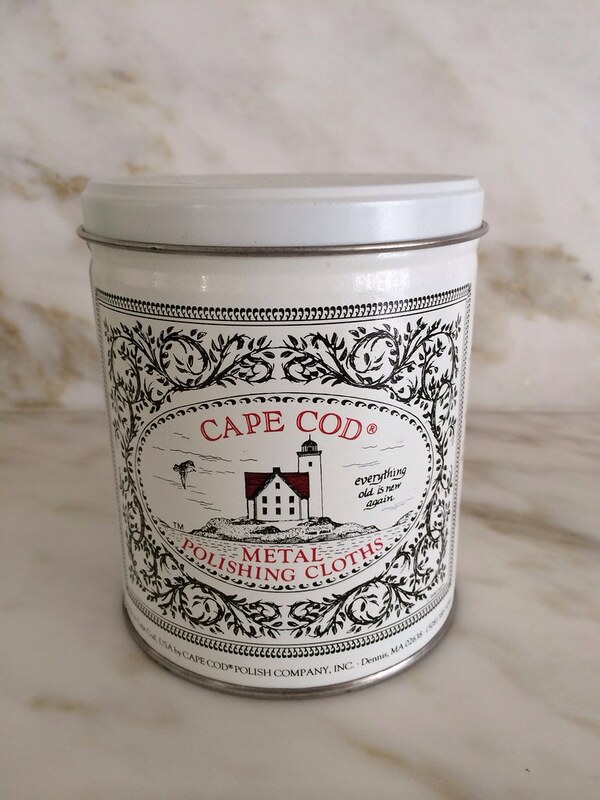 Thank you for including such nice pictures of my things! I enjoy the reasearch that you put into your posts and the beautiful pictures you include. Beautiful post. 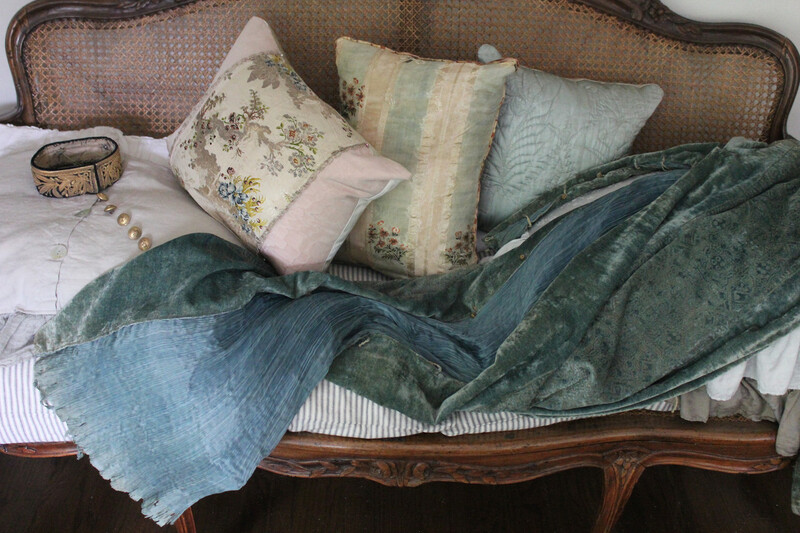 Gorgeous shot of Julie Neills mantel! Tracy Porter has a great crown for sale on her website!! A crowning achievement indeed -- 100 splendid postings! Many thanks for another great read -- and wonderful photos. 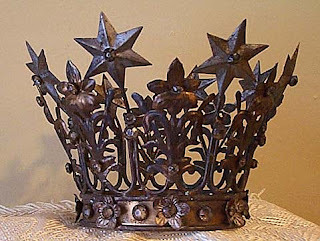 Just love crowns here too -- although nobody has seen fit to give me one yet -- so I may have to simply get my own! LOL! Well done -- and looking forward to the NEXT 100 postings too! YAY for 100! And love the crowns. About 10 years ago, my parents paid for my entire family (15 of us at the time) to spend the summer in the Costwolds. We all got together over the winter to work out details. Ikea had a line of glass- and dish-ware with blue and silver crowns, so we used that as our theme. My sister has it all now, and when I see it, I am reminded of planning that once-in-a-lifetime trip! I think it was Restoration hardware that had the cutest black and white crown printed hand towels..I think crowns are great personally! Congratulations on your 100th post. I enjoyed this, I always thought I should be royalty. I don't know what happened, I would've loved wearing a crown. congratulations on your 100th post! i was going to use "crowning achievement" in my comment, but somebody beat me to it! always late- that's me! anyway, lovely post, and again, congrats! Oh my goodness.. I love this post.. 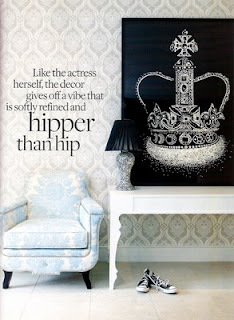 I've always loved crowns...I love love love Princess Diana's stationary and Gwyneth's crown picture...fabulous. 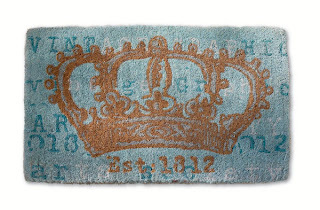 And I'm feeling a little special because I have that exact crown door mat from Shabby Chic.. it was a steal! The Little Black Dress of Rugs?